Adidas's clothing and shoe designs typically feature three parallel bars. Adidas Terrex Solo Shoes - Developed with our adidas athletes, including the Huber Brothers, these adidas Terrex Solo shoes are ready for every outdoor action. The Terrex Solo Synthetic was delveloped with our Adidas athletes. This high performance shoe is ready for every outdoor action. Featuring an outsole design with different zones for hiking and climbing. The upper portion of the shoe has high abrasion mesh for extra durability. The midsole protection plate is for impact protection and forefoot stabilization. Adidas Marathon 10 - adidas Marathon 10 - Men'sAn updated version of a classic, the adidas Marathon 10 retained the styling of its predecessor, the Marathon 80. Modern technologies included an air mesh upper to enhance breathability. Main Features. Additional Information. The adidas Marathon 80 debuted in the early 1980s as a lightweight marathon-training shoe. The updated Marathon 10, designed for runners with a neutral stride, includes a removable insole. Adidas’ design team worked with the original designer, Jacques Chassaing, to recapture the look and feel of the Marathon 80 and incorporate the latest tools, styling and ingredients. Adidas Hydroterra Shandal - Adidas Men's Hydroterra Shandal. For maximum barefoot comfort in summer heat or after kayaking, this mesh shandal welds allover EVA on the shoe's interior. Protective rubber toe-cap, speed lacing, and an easy step-down heel. Upper: airmesh for maximum ventilation. Upper: speed lacing construction for fast and snug lacing. Upper: heel-fit-system for increased fit & comfort. Inlay: molded EVA sock liner. Outsole: super high traction rubber for optimal grip in wet conditions. Adidas Terrex Fast X GTX - Adidas Terrex Fast X GTX Hiking Shoes for Men Features. Adidas Terrex Fast X GTX Hiking Shoes for Men. Choose the Adidas Terrex Fast X GTX Hiking Shoes for Men for your hiking trips. These imported men shoes are filled with technologies that ensure a meaningful hiking trip. Its Adidas Outdoor FORMOTION footwear provides you with an accurate motion control when maneuvering the rough terrain and more comfort when going downhill. Adidas Firebird Track Pant - The adidas Originals Firebird Track Pant is a relaxed-fit, straight-legged pant that's perfect for exercise or casual wear. This pant is a perfect companion to the classic Firebird Track Jacket, or it can be just as stylish on its own. The shiny tricot outer layer and brushed, soft lining gives you a casual, sporty look. 100% polyester tricot. (medium grey heather = 100% organic cotton) Imported. Elastic waist with interior drawstring provides a comfortable and secure fit. Adidas Samba - A true legend in the sneaker game, the Samba from adidas Originals® was the first futbol training shoe developed for frozen pitches—gaining momentum from the '62 World Cup, they became the dominant indoor soccer shoe for soccer fans alike! Classic suede uppers. Lightly padded collar and tongue for a comfy, cozy fit. Textile lining and a cushioned insole for all-day comfort. High-contrast synthetic 3 Stripes logo, tongue and heel counter details. Low profile rubber midsole with subtle foxing hits. Adidas Terrex GORE-TEX Active Shell Jacket - Adidas Men's Terrex GORE-TEX Active Shell Jacket. A jacket that is made for all heavy-duty sports that requires nothing but to be on your back. GORE-TEX® ACTIVE SHELL is the lightest and most packable fabric for high pulse activities with perfect next to skin comfort. Adjustable, helmet compatible hood allows you to play it safe if you so choose to do so. Reflective elements for enhanced visibility and safety in the outdoors. Adidas Samoa - First introduced as an '80s training shoe, the women's iconic Samoa sneaker from adidas® makes a stunning comeback in a bold, street-ready version. Features full-grain leather upper for comfort and soft feel. Lightly-padded collar with a textile lining for comfort. Retro-suede overlay detail on toe box. Reinforced rubber toe guard and low-profile EVA midsole. Textured Trefoil logo on a rubber outsole for grip and style..
Adidas Ciero - Trends come and go, so why not go with a tried-and-true design? Act like you've been there before with the stylin' Ciero from adidas® Skateboarding!for superior grip. Imported. Textile lining for added comfort. Skate-inspired outsole for superior grip. Suede upper for a classic look. Synthetic leather details..
Adidas Adi Firebird Track Top - Sport classic, iconic style with this adidas® Originals Firebird Track Top. Stand collar. Long sleeves with ribbed cuffs and 3-Stripes down sides. Large Trefoil® logo at center back and smaller brand marking at upper left chest. Full-front zip closure. Zipper hand pockets provide secure storage. Banded hemline provides a snug fit. 100% polyester. Machine wash warm, line dry. Imported..
Adidas Terrex Swift R GTX - Adidas Terrex Swift R GTX Shoes for Men Features. Adidas Terrex Swift R GTX Shoes for Men. Enjoy working out and running with the Adidas Terrex Swift R GTX Shoes for Men. These shoes feature molded sock liners/foot beds that make them very comfortable. They have been outfitted with lightweight EVA midsoles that provide the cushioning your feet need when walking or running. The ADIPRENE inserts effectively absorb the impact on just about any surface. 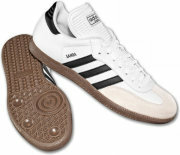 Adidas Samba Classic - adidas Samba Classic - Men's The adidas Samba is the classic indoor soccer shoe. Full-grain leather upper provides comfort and soft feel. Die-cut EVA midsole adds lightweight cushioning. Non-marking rubber outsole for use on polished indoor surfaces. Wt. 12.1 oz. Full grain leather upper for comfort and soft feelDurable gum-rubber outsoleImported. Adidas Superstar 3G Slide - adidas Superstar 3G Slide - Men's The adidas Superstar 3G Slide features an adjustable synthetic upper. Viscoelastic FitFOAM® perfectly contours to the foot like a custom mold. Lightweight injected EVA outsole..
Adidas Boat Lace - FEATURES of the Adidas Men's Climacool Boat Lace Shoe. SPECIFICATIONS of the Adidas Men's Climacool Boat Lace Shoe. Comfortable textile liningStretchable heel insert makes for a comfortable, accurate fitClimacool® construction and air mesh uppers provide 360° cooling for the entire footQuick-dry materialsTextile mesh upper for lightweight breathability; Synthetic overlays for added supportMen's Sizing. WOMEN ORDER ONE FULL SIZE DOWNWater grip outsole for exceptional traction in wet and slippery conditionsNonmarking rubber outsoles provide good traction on wet, slippery surfacesImportedCloseout. Adidas Firebird Track Jacket - adidas Originals Firebird Track Jacket - Boys' Grade School Original style just for the kids thanks to the adidas Originals Juniors Firebird Track Jacket. Zip-up into this iconic retro style that features 3-Stripes® down the arms, left and right zip pockets and a Trefoil over the heart. 100% polyester tricot. Imported..
Adidas Gazelle - adidas Originals Gazelle 2 - Men's After its introduction as a training shoe in 1968, the adidas Originals Gazelle quickly skyrocketed to popularity with its remarkable cushioning, comfort and fresh style. The adidas Originals Gazelle 2 Canvas features a breathable canvas upper, EVA midsole for cushioning, non-removable insole and a rubber sole. Wt. 12.2 oz. Die-cut EVA inlay for comfort. Suede upper for comfort and soft feelSuede upper with classic three-stripe design in leather. Adidas Dragon - adidas Originals Dragon - Girls' Grade School Introduced in the mid '70s, the adidas Originals Dragon quickly became a popular basic training shoe around the world. Featuring a mixed material upper for an Original look, ripsaw-like gum rubber outsole and an EVA wedge for cushioning, this slim, sleek and stylish shoe looks as smooth today as it did in the '70s..
Adidas Techfit Powerweb S/S T-Shirt - adidas Techfit Powerweb S/S T-Shirt - Men's The adidas TECHFIT PowerWEB T-Shirt is made with a ventilated ClimaCool® fabric that helps keep you dry and comfortable. ForMotion® technology follows the natural movement of sport for a better fit and greater comfort in motion. TECHFIT focuses your muscles' energy to generate maximum explosive power, acceleration and long-term endurance. PowerWEB actively supports muscles, boosting power output and energy efficiency. Flat lock seams help reduce chafing and skin irritation. Adidas adiZero Boston 3 - Get closer to that qualifying time with every stride. Lace into the adidas adiZero Boston 3 M and hit the streets!Lightly padded tongue and collar for added comfort. Non-slip textile lining offers a great step-in feel. Built for the neutral to underpronator who requires enhanced cushioning. Supportive synthetic overlays. TORSION supplies adaptive mid-foot support. Breathable air mesh upper.adiWEAR outsole delivers maximum durability in high-wear areas. Foam insole supplies light underfoot plush. Adidas CLIMA Ultimate Tee - Whether you're preparing for the ultimate workout or simply walking around the block, you can enjoy the benefits of the CLIMA Ultimate Tee. CLIMALITE® fabric pulls away perspiration to keep you dry and comfortable. Imported. CLIMALITE fabric pulls away perspiration to keep you dry and comfortable. Straight hem.85% polyester, 15% cotton. Machine wash cold, tumble dry low. Short-sleeve styling. Crew neck with interior taping. Brandmark at upper left chest. Anti-odor finish keeps you fresh..
Adidas Firebird Track Top - This classic design will never go out of style. Track top jacket with a classic adidas® trefoil logo at the front left chest. Machine wash warm, line dry. Rib knit cuffs and hem.100% polyester. Applied 3-Stripes run across shoulders and down each arm. 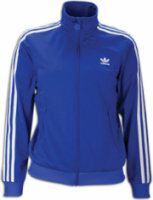 Track top jacket with a classic adidas trefoil logo at the front left chest. Two zip hand pockets. Imported..
Adidas adiZero Crazy Light Cap - adidas Adizero Crazy Light Short - Men's The adidas adiZero Crazy Light Short is made with 55% recycled polyester/45% polyester fabric with "Run with the Pack" print. Elastic waistband. 12" inseam. Imported..